Don't worry. This is not another one of those articles about cancer, asbestos and mesothelioma. This is my story, the story of a kidney cancer patient and breast cancer husband. Receiving two cancer diagnoses within 7 months didn't make my wife and I experts on the topic. But we did certainly learn a lot and that's why decided to start writing about kidney cancer, mesothelioma and other asbestos induced diseases. The most common symptoms of kidney cancer are pain in the abdomen and blood in the urine. While working on a project outside in my yard I felt this weird pain in both sides of my flanks. However, I didn't make much of it. Even though I'm in okay shape, I am certainly not the strongest person and moving large quantities of stones and sand was something I just wasn't used to. The discomfort in my abdomen never really subsided and a few weeks later things got worse. When I went to the bathroom, I had the scare of my lifetime. I urinated dark red blood. This wasn't just urine that looked a little discolored, this was blood. I don't know why I decided to ignore the incident. As mentioned blood in the urine is one of the most frequently seen signs of kidney cancer, but it could also be indicative of other health issues. Well, a few days later, the same thing happened again, but this time I also discharged clots of bloody tissue. At that point I finally got convinced that it was time to see an urologist. During my medical appointment my urologist explained that I probably had kidney stones. Which was certainly unusual considering my age - I was 37 year old - but not completely unheard of. The urine sample that was evaluated came back negative for malignancy, so cancer got pretty much ruled out at that point. At my age and with my overall health condition, the chances were less than 2% that I had kidney cancer. The next step was a CAT-Scan to see how big the kidney stones are and how many of them were bouncing around inside of me. But I was in for another surprise. The urologist called me in early October of 2009 to tell me that I was diagnosed with kidney cancer, also known as renal cell carcinoma. After the subsequent obligatory cystoscopy it was determined that my kidney was complete taken over by the malignant mass. The only way to take of the situation was to remove the entire organ. In late November, my left kidney was removed via a laparoscopic radical nephrectomy. 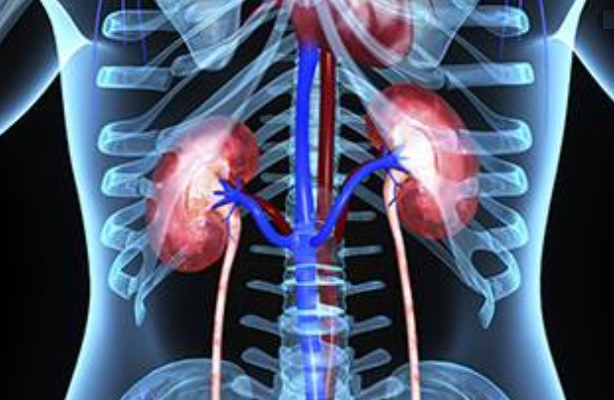 Based on the pathology, my kidney cancer was as old as 20 years. There is no way to conclusively determine what it was caused by, by my oncologist and I speculate that it is due to asbestos exposure. Over a period of almost two years, I came in daily contact with the carcinogenic asbestos fibers, which are the cause for diseases such as mesothelioma, asbestosis and lung cancer. During a construction project I had to cut asbestos cement sheets all day long. Back then we simply weren't aware of the dangers associated with being exposed to asbestos. Hence, I didn't protect myself by wearing a mask, gloves, glasses or a protection suit. I actually remember swallowing the little pieces of the cement sheets and inhaling the asbestos dust that had contaminated the air of our construction site. I'm not a doctor nor is it my intention to tell you what you should do. However, I urge you not to take the signals your body sends you lightly. Otherwise, you might be playing with your life.